All good weddings are packed with traditions – whether it’s the whole ‘something old something new’ thing, the *magical* first dance or, our favourite, the bit where you get some nice new diamond jewellery. 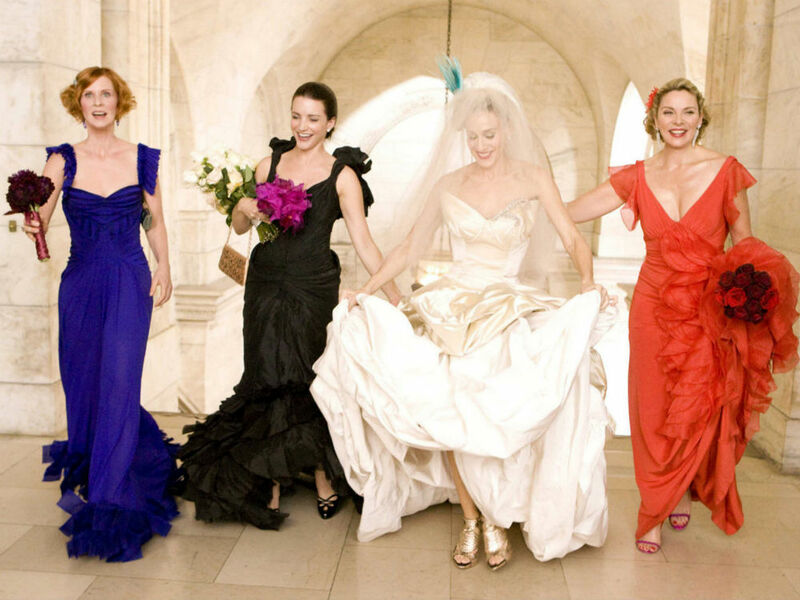 But having your bridesmaids wear matching dresses is one that sometimes divides opinion and even the best of friendships can be challenged by the pursuit to find a dress that suits everyone, that isn’t made of highly flammable taffeta and doesn’t look like your attending a prom crica 1985. It is hard. So have you ever wondered why exactly we do this to ourselves and why this actually quite strange tradition even exists? Well, Mental Floss did some research digging all the way back through the wedding albums, beyond Brad and Angelina, beyond Brad and Jennifer, and throwing it back to the Ancient Romans to discover the truth. And it turns out the reason is quite creepy. In Roman times, bridesmaids wore the same dress as each other, but also the bride. The bridal party was invented, not so that could have a raging great hen do, and LOL with her bessies throughout the entire process. The idea was that she should surround herself with decoys so that when either evil spirits or (perhaps worse) the bride’s exes tried to crash the wedding, which they so frequently did in those days, they would be confused as to who exactly the bride was, stalling their plan with enough time for the happy new couple to tie the knot. And so, as no one really wants to see demonic wedding crashers (be they exes or evil spirits) ruin their BFF’s big day, it may be best to just take one for the team. The next time you’re asked to assemble in a Cadbury purple line-up of satin confections, just do it, OK?